My Mum – the inspirational teacher …..
Getting back into the swing of things for a new term or a new year is always hard for a teacher. This term is no different but it is at this time of the year that I think about my Mum and the special things that she has done for me. Happy Mothers Day Mum. Today’s blog is a dedication to my Mum – the inspirational mother, teacher and lovely lady. When I was growing up both my Mum and Dad were exceptional role models. The way they worked the way they socialized and the way they taught. Through primary school my mum was a teacher aide at my school, helping those children who needed extra support. She worked as a support worker in my school for a number of years. By the time I reached intermediate and high school mum had decided to train to be a teacher. After the completion of her study (via correspondence so she could carry on doing what she did helping others) she graduated and got a job teaching at the same school. Her school was extremely lucky to have her and snapped her up and to this day she is still there doing what she does as an exceptional New Entrants Teacher and role model for new children and families entering the school. It is no wonder so many new families and children go to her school and I have no doubt a lot of the enrolments are due to her being in the new entrant classroom. My mum does what she can to stay ahead of the game, keeps up with technology and gives the children in her class amazing opportunities. She goes above and beyond what is required of her as a teacher. During an inquiry topic she will always make it interesting for the children from turning her classroom into a pirate ship to creating life size nets and dinosaurs to make every learning experience real and believable. All of the reasons above plus many more is what has inspired me to become a teacher. Everyone has a role model and someone to look up to in their profession and for me it is my mum! Even with extra curricula activities she is Number One – She would always offer to help out at school disco’s and dress up and play the part. She would coach basketball teams and cricket teams and offer to make end of year presentations for students leaving the school. Everything she did and still does makes her one of the greatest in her field. My mum is the kind of teacher I strive to be every day. She has created lifelong learning memories for hundreds of students and she will always be the teacher I appreciate most. To me, my mum is the definition of what a great teacher does and the kind of person a great teacher is. I still strive to learn constantly and be this type of teacher every day. I don’t know if I’ll ever be as awesome as my mum but I sure have fun trying! There are hundreds and thousands of teachers and mums out there that need to hear how amazing they are. 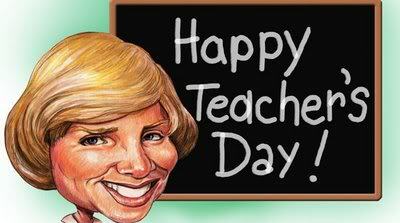 I challenge you to send this to everyone you know and make sure they tell that special teacher or mother. You’re my favourite teacher Mum and thank you for everything you have ever done for me and taught me to help not only make me a better learner, but also a better teacher and person. Happy Mother’s Day!